The phenomenon known as parkour is a training exercise where parkour athletes move in complex environments as quickly as possible without the use of machines. Sometimes called free-running, athletes crawl, leap, twist, and flip their way through the environment. It is as entertaining as it sounds. 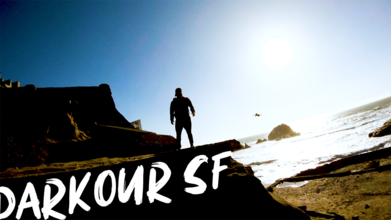 Leave is the the Bay Area’s SFPV to make a fantastic edit of his FPV flights following parkour athletes Desheay Jenkins and Tyler Puterbaugh as they make their way through the California Academy of Science, de Young Museum, and the Sutro Baths.